I have been dealing with the therapist from Border therapy Edgemere for the last 3 months… they handle themselves in a professional manner. They go out of their way to make sure their patients is very comfortable in the surroundings. They are very knowledgeable in their profession. I would recommend this group of professionals to friends, business partners, and the medical community. In the past several years, I have had a number of knee surgeries including a total knee replacement. I have also had back problems. Each time I have seen a doctor for these problems and required physical therapy, I have asked for a prescription to Border Therapy for their physical therapy services. Since I have been going to Border Therapy for their services, I have come to know them as a great company with a wonderful reputation. Their office staff is very professional, helpful, and always willing to accommodate my needs. The physical therapists begin by taking my history and evaluating my pain. They are so knowledgeable and take the time to explain the pain. They then set me up with a plan and regimen for me to follow as I come for each session. They are concerned each time I arrive with my pain level and my health. Physical therapist assistants who take me through my exercises are very knowledgeable, patient, and friendly. They seem to know how far to push and my individual tolerance. Their exercises and modalities are set up to progress according to my pain level and endurance. They also provide me with exercises I can do on my own at home. When my sessions are complete, they provide a letter to my doctor about how I progressed in my healing process. In all the times I received physical therapy for my different ailments, I left extremely satisfied and physically mobile, restored to health. I am truly grateful to Border Therapy for their heartfelt, professional services. Border therapy has assisted me to regain my shoulder mobility after surgery. The staff at Edgemere location are always courteous and professional. 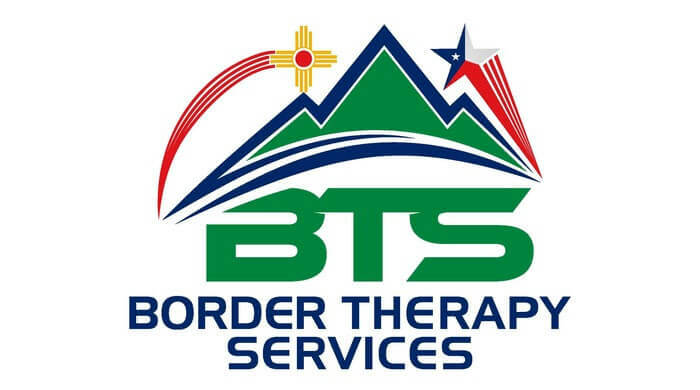 I have seen progress at each therapy session and I would recommend Border Therapy to anyone seeking a reputable therapy company. Thanks for your support and encouragement during my physical therapy. (Just can’t say it enough!) It was very helpful to me as I regain my mobility in my left hip. You’re the best! I’m so grateful you didn’t give into my fears but pushed me, ever so gently towards a stronger more confident way of life. I’m walking 4 – 5 days a week and feel great!! I’m also enjoying my garden again and couldn’t have done it without you. My ACL rehab was great. Border Therapy has helped me get back on the field. I feel my knee is strong and stable and I’ve recovered my speed and agility. My knee feels great. I started going to Border Therapy Services because I had surgery on my arm/elbow. The therapists at Border Therapy were very professional. I recovered quickly. All my movements were restored. I was treated kindly and patiently. I am satisfied with the job they did during my recovery. If I were to need therapy again, I would choose Border Therapy. I recommend them. I thank all the staff. I experienced a wonderfully effective, successful development from October 2014 through today with the rigor, expertise, skills, coaching, support, attentiveness, and compassion of Crista and J.J. (who I worked with 98% of the time), and I also enjoyed and benefited from interacting with all the staff. The atmosphere and environment was always professional and very conducive to working hard and developing what needed to be addressed. The chemistry was great among the personnel, and I always looked forward to being here even though it usually involved a great deal of pain and effort. I truly am going to miss J.J., Crista (and our talks and dialogues) and the workouts. They have been tremendous and “on target” with my ‘stiffness’, ‘my pain’, and ‘my restrictions’. It is one of the best experiences and interactions I have ever done for myself! I am very grateful to both of them, to the VA and to my doctors for directing me here. Good Job Border Therapy! Thank you so much! Great service – real care! Glad I came here for therapy, I feel very taken cared of when I get the individual attention. Feel much better, arm/shoulder! Mark and his staff at Border Therapy have been instrumental in helping me through the rehabilitation process for ACL reconstruction. Through their specialized programs and individualized methods of care, they have helped me regain the strength and stability I once had in my knee. The attention I am receiving is outstanding. The personnel I have come in contact with are performing their duties in a most professional/fine manner. They are most courteous and helpful in doing their jobs. Their goal is no different than mine – 100%. Because of this, my balance has improved significantly.